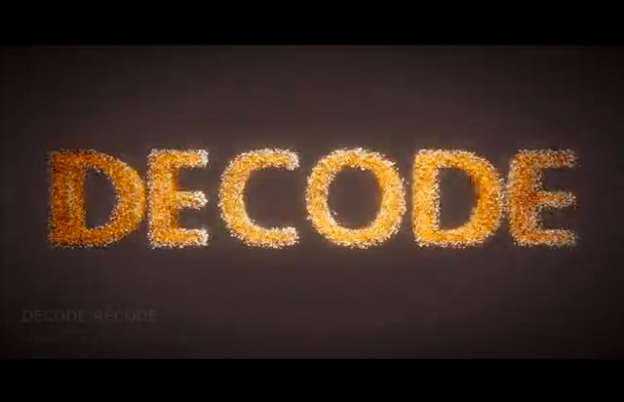 This is a recode of the V&A Decode ident by directtovideo, the decode logo is formed from 250,000 cubes which separate, swarm and flock like tiny futuristic cuboid fish. They completely remade it in C++ and using shaders, it runs realtime on a consumer PC. I would recommend checking out the Blunderbuss video which was uploaded 3 days ago by them also, that shows around 1 million particles animated and rendered in realtime.